We get many different reactions when we mention Las Vegas bottle service options. Most people right away assume they can’t afford VIP table service because of all the rumors on how overpriced and extremely expensive it can get. The typical bottle price point is $500-$600 dollars which are 500% over the normal price in your discount liquor store, and table minimums go as high as $5,000-$10,000 depending on the venue. So yes, bottle service is a rip-off, BUT when you dig into the experience you get with bottle service and if there was a way to get it discounted then maybe you would think twice about it being worth it? We have found a solution for you and are happy to offer discounted bottle service not offered anywhere else! Please see our prepaid packages below. The typical group is about 8-10 people and when you split it up it comes to $130 a person for the full VIP experience. Compare this to the option of not going with bottle service and you wait in line and pay $40-$100 cover charge just to get in plus drinks at the crowded bar and you end up paying more for a worse experience. What comes with your Las Vegas bottle service? 1). 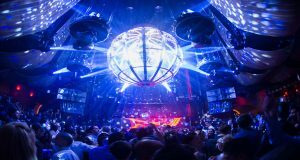 You don’t have to wait in the 2-hour long general admission line that the venue trickles in to make it look busy for those who purchased bottle service. 2). We check you in at the time the venue opens and place the bottles on the table before you arrive. Allows for more time at dinner or a show beforehand so you are not rushing to the club risking it selling out. 3). When you do arrive your table is already set and ready for you to enjoy your night. 4). Your table comes with security to usher unwanted people near your table and offers walks to the restrooms so you don’t have to deal with the hassles of the congested crowd. 5). The table also comes with a cocktailer to pour drinks and shots for your party. A really good cocktailer will make sure your glass is always full. 6). You will also get a busser to keep the table and area surrounding always clean and tightly. They also assist with pouring drinks and making sure you are well supplied with cups and shot glasses. 7). Lastly, with a table, you will have your own area to dance and keep your belongings.